Ahead of the game against Sunderland on Sunday, we’re continuing our hugely popular ‘A view from the enemy’ series by speaking to Cameron Brown from Sunderland World. We spoke to the Black Cats’ fan about a variety of topics, including the new manager Louis van Gaal. Jordan@Old Trafford Faithful: Who are you, and how did you become attached to your club? Cameron Brown (Sunderland World): I’m Cameron Brown, Writer and Sub-Editor for Sunderland World. Living only 10 minutes away from Sunderland when growing up, I had a strong family influence in my decision to support Sunderland. Considering I grew up in a time where Newcastle were perceived as the “top dogs” of the North East, there was a lot of pressure surrounding footballing allegiances. Although I can’t remember my first exact game, I can remember being amazed by the passion and noise coming from over 40,000 supporters. Not only that, being witness to players such as Kevin Phillips and Niall Quinn helped towards that attachment. Jordan@OTF: Gus Poyet has really turned things around on Wearside, do you think he’ll be Sunderland gaffer for the long-term? CB: I hope so! To be honest though, it’s difficult to answer that question. I’d say the majority of the Sunderland support are fully behind what Poyet wants to implement here. However, his tendency to be outspoken and ambiguous towards certain issues such as transfer activity worries the fans time to time. We’re under no illusions that if he continues to do a good job with us, one of the big clubs will inevitably take a punt on him. All we can do is hope that Poyet, Ellis Short and Lee Congerton can stabilise the club in terms of our academy set up, our football identity and our off-field situation before Poyet were to leave. Jordan@OTF: What do you make of Sunderland’s chances this season? CB: You never know what’s going to happen with Sunderland. We thought we were going to have some success when Martin O’Neill became manager, but that wasn’t the case, so you just never know really. I’d like to think we have enough to stay in the league this season. We’re playing more attractive and effective football this season, which has gone together with some good signings, such as Jack Rodwell. We certainly need to add some more new faces, but I’d like to think we can have a good season once our transfer activity is done. Jordan@OTF: What would have to happen for this season to be regarded as a successful one? CB: No Drama, That would be nice! Of course, our great escape was unbelievable to be a part of but our nerves were gone by the end! A nice boring season, maybe with a slight chance of breaking into the top 10 would be an excellent season for me. Jordan@OTF: Onto United, what do you think of the new manager, Louis van Gaal? CB: A good appointment. He’s a proven winner, his managerial record says it all. However, I think this is without doubt his hardest challenge to date. Your club needs a big turnaround, which will require 2-3 seasons I think. Will he stick around for that long? If he does, then I’m sure he can restore that winning mentality that United have lost. Jordan@OTF: What do you make of Manchester United’s transfer business? CB: I expected a lot more, if I’m being honest. Luke Shaw is a great signing, who will surely cover that left-back spot for years to come. Ander Herrera however is a player I’m unfamiliar with, so I don’t quite know what he is capable of. Like I say though, I expected much more. From the outside looking in, I feel you need 2 central defenders, a right-back, a top quality central midfielder and a right winger just to break back into the top 4. 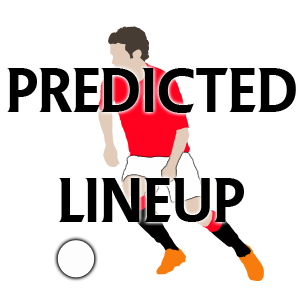 Jordan@OTF: If you could sign one Manchester United player for Sunderland, who would it be, and why? CB: Well, I’m sure that the majority of Manchester United players would walk into our team, given the difference in quality. So I would have to make this choice, based on how realistic it would be. Therefore, my answer is Danny Welbeck. We’re already familiar with what he brings, after his successful loan spell with Sunderland in 2010. Due to our unsuccessful efforts in getting Fabio Borini back to the club, I feel that Welbeck would work very well on the left hand side of Gus Poyet’s 4-1-4-1 formation, that requires the winger to almost play as a second striker when in possession. His work-rate would also suit Poyet’s style of play. Our new English-buying approach to transfers would also make him a realistic option. However, his biggest attribute that would benefit our side is pace, something that Poyet has identified and looks to solve. 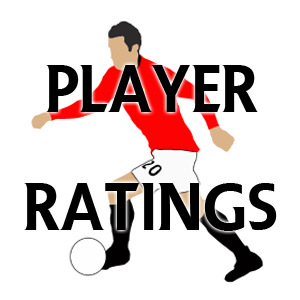 Jordan@OTF: Who do you see as Manchester United’s most influential player? CB: I know a lot of headlines over these last few weeks have been on the importance of Wayne Rooney this season, however I think that the key to Manchester United’s season is Juan Mata. It looks as though he is finally being utilised in his proper position this season, something that just baffled me when Moyes playing him on the wing last season. This 3-5-2 system that Van Gaal has adopted this season will suit Mata perfectly I think, given that he’ll have the license to have that free-roaming attacking midfield role behind the two strikers. If he has a successful season, so will Manchester United. Jordan@OTF: Where do you think Manchester United will finish this season? As I’ve already mentioned, I think that a top 4 finish is beyond Manchester United this season. I can definitely see a battle between Manchester United, Everton and Spurs for 5th. If I’m being totally honest, I think that Everton will finish 5th, Manchester United 6th and Spurs 7th. However, if Manchester United step up there transfer activity in the next few weeks, I may change my mind. Jordan@OTF: Finally, a score prediction for the game at the weekend? CB: I’m hoping that Sunderland can take advantage of Manchester United’s poor start to the season but I know that it doesn’t always work out like that. I feel that Van Gaal will have his team prepared to prove a few people wrong but I also think that Poyet will concentrate on making The Stadium of Light a fortress this season. Therefore, looking at it very optimistically, I’m going for a very competitive 1-1 draw. Jodan@OTF: Thanks Cameron, I’ll go for a sneaky 2-1 United win. All the best for the season! Check out Sunderland World here, ‘like’ their Facebook page, and follow them on Twitter.